Esso in Belgium, a Other company, with a BAI (Brand Ambassadorship Index) score of 60, was calculated by analyzing their social profiles and reviews on websites like Glassdoor and Indeed, which resulted in a BAI (Brand Ambassadorship Index) of 60. You should consider adding your profile link to your website. We calculated social media reach based on your global social audience of 5102 followers, that posting a message on all your social channels and assuming that you have a interaction rate of 5%, you will have the following reach. Based on 2166 reviews the average employee is rating your company 77 out of 100. Based on 1022 reviews your product is rating 67 out of 100. 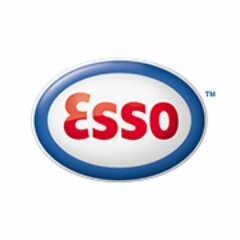 Welcome to the official Twitter page of Esso, a leading Belgian fuel retailer. Retweets, mentions and links are not endorsements or opinions of Esso.